Reuters, by Bate Felix (Dakar, Senegal, June 22, 2013) – Eight European hostages, including five from France, being held by al Qaeda in the Islamic Maghreb (AQIM) are safe, the Islamist group said in a statement posted on its Twitter account on Saturday. 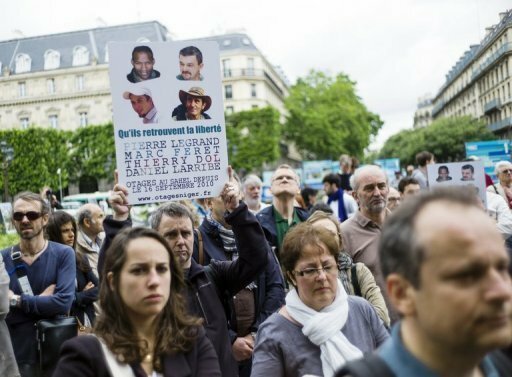 The statement coincided with rallies across France organized by the families of French hostages who were seized in Niger in September 2010 to mark more than 1,000 days of captivity. French newspapers reported this week that the hostages had been transferred to Algeria and were in the hands of AQIM’s new chief, Yahia Abou el Hamam. The French government declined to comment on the report. “We would like to assure the family and relatives of the hostages of the safety of their children,” said the message, posted by AQIM’s Andalus Media arm. The message repeated previous statements by AQIM that it would kill the hostages if there were any new French military intervention in North Africa, but said it remained open to negotiations to free them. “Although we are nearing three years holding the hostages, we are open to negotiations. Our demands were clear and legitimate. But they were rejected,” the statement said. The French government has said it does not negotiate with hostage takers. 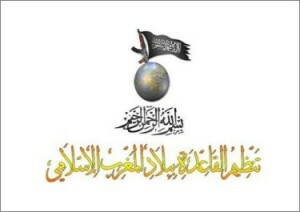 AQIM said it would soon release a video of the five French hostages and three other Europeans. At least eight French citizens, a Swede, a Dutchman, and a British-South African have been kidnapped in recent years in parts of the Sahara desert. One Frenchman, kidnapped in Nigeria, close to the border with Niger, is believed to be being held by either AQIM or an affiliated group. Another was kidnapped last year in Mali, near the Mauritanian border, but Saturday’s statement did not appear to refer to either of these. AQIM did confirm in the statement that one French hostage, Philippe Verdon, who was kidnapped in Hombori in northern Mali in November 2011, had been killed in March in response to the French military intervention in the north of Mali. The hostages referred to in the AQIM statement were previously thought to have been held in northern Mali before the French-led campaign in January drove out the militants who had seized control of the region after a Tuareg separatist uprising and a military coup in the capital Bamako. French President Francois Hollande justified the military intervention in Mali partly by saying it would prevent northern Mali being used as a launch pad for Islamist attacks in Africa and in the West.